With bold stripes, colorful prints, and unique patterns, Robert Graham’s clothing is instantly recognizable. 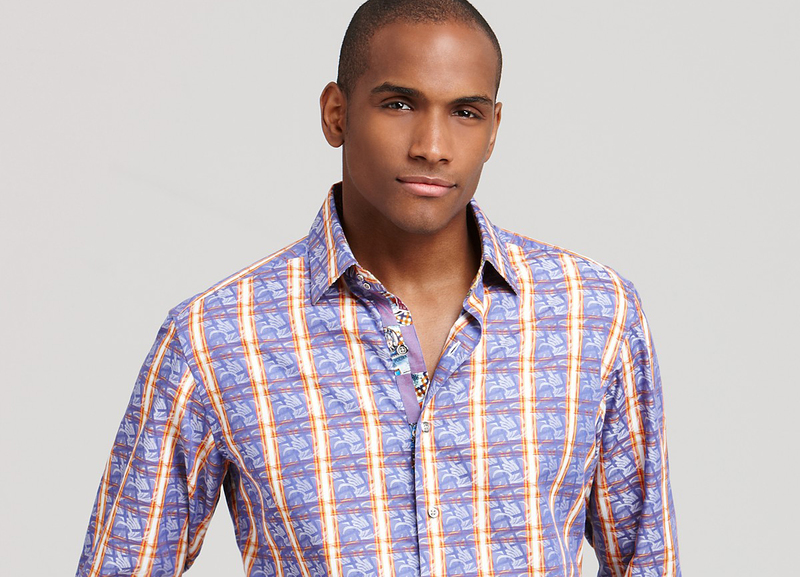 Since its launch in 2001, Robert Graham has created sophisticated styles for men. Due to the brand’s distinctive design elements and superior craftsmanship, Robert Graham enjoys a robust and loyal consumer following who not only proudly wear the eclectic fashions, but they also collect signature pieces. In 2015, Robert Graham will broadening the brand’s offerings beyond sportswear to develop a cohesive tailored clothing, dress shirt, and neckwear collection through a license deal with Shirt Avenue. “Tailored clothing, dress shirts and neckwear are wardrobe staples for the business-minded customer and we look forward to offering a truly dynamic collection to the marketplace,” said Michael Buckley, Chief Executive Officer of Robert Graham. The collection, which will launch in the Fall of 2015, will expand Robert Graham’s current men’s product offering including: sportswear, premium denim, accessories, outerwear, eyewear, and footwear. In addition, the brand will also launch two new product categories, loungewear and fragrance. Robert Graham operates freestanding stores in Los Angeles, Houston, Las Vegas, Boca Raton, Palm Beach Gardens, New York, Scottsdale, Arizona, and Dallas. The brand also sells at luxury department stores and boutiques including Neiman Marcus, Nordstrom, Saks Fifth Avenue and Bloomingdales. This year, Robert Graham received the “Menswear Brand of the Year” award from the American Apparel & Footwear Association. With the addition of the tailored clothing line, Robert Graham is well-positioned for a repeat.